LXXIII, 1478 p., 16,4 x 24,4 cm. In the 18th century rhetoric was still the foundation of literary theory and practice, text production and text interpretation. 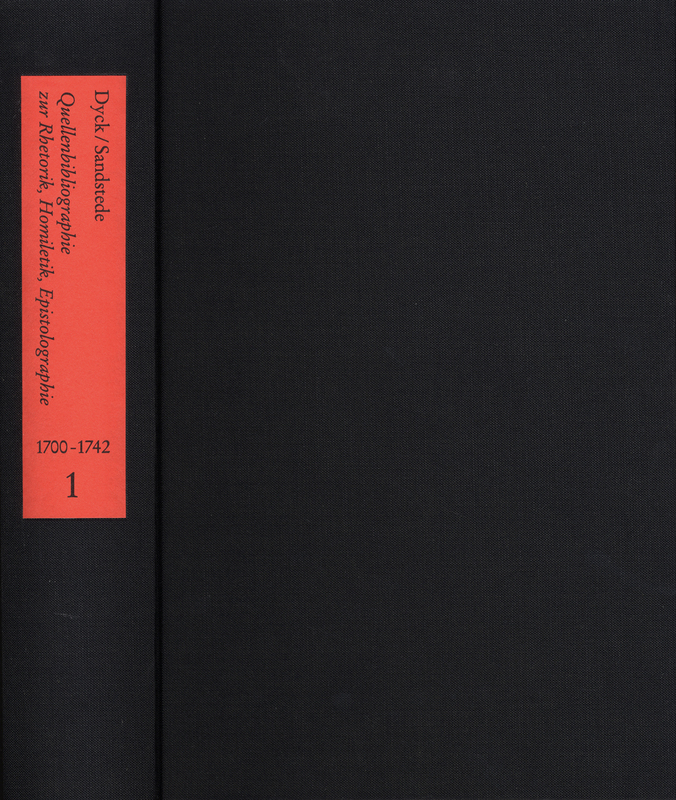 Nevertheless, a relevant source bibliography for the period between 1700 and 1800 has until now not been available to German-speaking research on aesthetics, poetics, and rhetoric. This comprehensive and autopsied bibliography contains all individual publications of the 18th century on rhetoric (theory) and oratory (practice), on homiletics, and epistolography as well as new editions and reprints of older works. The bibliography is arranged chronologically and thus forms implicitly a history of the development of 18th century literary and aesthetic consciousness. It includes approximately 4,000 titles and contains in addition to a person and anonymous index indices to rhetoric, homiletics, and epistolography; the location of each autopsied work is indicated.